Vera Volkova, a magnificent Russian ballet teacher. She devoted her life to classical ballet training and became one of the most influential teachers at the Royal Danish Ballet. Volkova was educated in Saint-Petersburg at The School for Russian Ballet. She was highly influenced by Vaganova and her training programme. Just after the Revolution she escaped to Singapore and later to London, where she founded a ballet school. 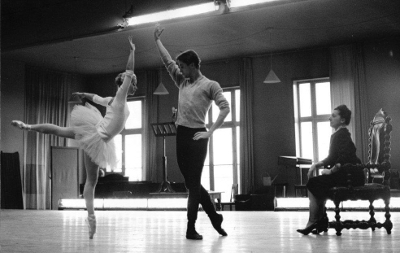 Amongst her students were Margot Fonteyn and Erik Bruhn. In 1951 she joined the Royal Danish Ballet and, indisputably, became the right teacher at the right time. The company was specialized in the Bournonville style. However, times were changing. 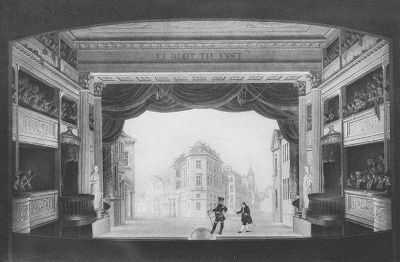 During the fifties new and influential choreographers such as Balanchine, Robbins, Ashton, Cranko, Roland Petit visited Copenhagen and staged their ballets at the Royal Theatre. Volkova knew this new generation of choreographers and her classes gave the company a superb background for facing the new choreographic challenges. Volkova was a splendid teacher. She did not wish to interfere with the French Bournonville style, but succeeded in combining it with the Vaganova style. I believe this gave new life to the Bournonville style. Moreover, Volkova was a formidable coach. She attended all the performances, and guided the dancers with the intention of achieving perfection. Volkova gained a world-wide reputation and many famous dancers, including Jean Babilée, Zizi Jeanmaire, Nathalie Philippart, Melissa Hayden, Toni Lander, Rudolf Nureyev, etc., visited Copenhagen to take her classes. She formed a new generation including Kirsten Simone, Henning Kronstam, Niels Kehlet, Mette Hønningen, and myself. She taught her classes to Stanley Williams and Erik Bruhn who became my first teachers when I joined the Royal Danish Ballet. Later, as apprentice, dancer, and principal dancer, I attended Volkova´s classes and took full advantage of her wonderful and inspiring teaching. She always started with by a long barre that really warmed one up, and continued in the middle with tendus, port de bras, an adagio, low fondu exercises, pirouettes, small jumps, pointe work and big enchaînements, finishing men’s class with 16 or 32 entrechat six. You were always prepared to make a good rehearsal and performance after such a class.